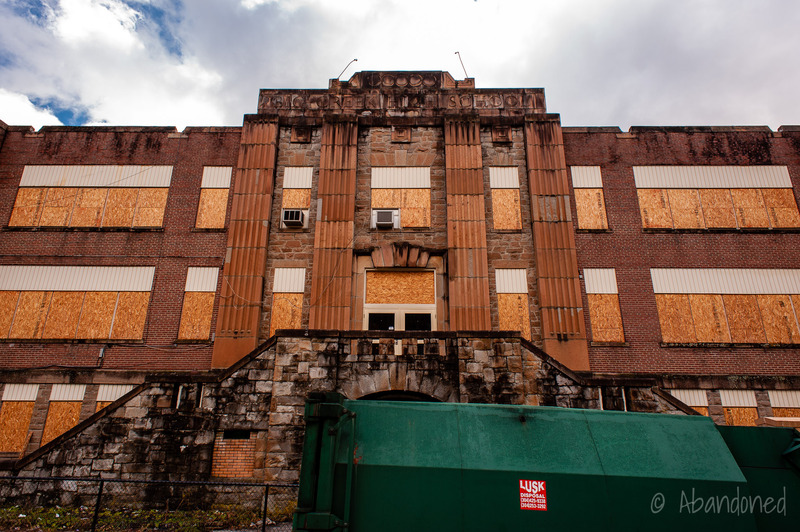 Big Creek High School was constructed in 1931-32 2 3 on the site of the former John’s Branch Coal Company, which had closed in 1926. 6 Upon its completion, the high schools at Berwind, War, and Coalwood became junior high facilities. A prolonged fight over consolidation ensued. In a controversial 3-2 vote, the County Board of Education voted to reject millions of dollars in state and federal flood-proofing funding from the ACOE, which were earmarked for the construction of four new schools out of the floodplain. 4 Public opinion began to change due to the rejection of $40 million in funding. The consolidation proposal was put back on the ballot after Governor Bob Wise and the state legislature became involved, and the County Board of Education voted to construct the new facilities. Owens, Charles. “Big Creek, Iaeger’s final farewell.” Bluefield Daily Telegraph [Bluefield] 29 May 2010: n. pag. Bluefield Daily Telegraph. Web. 5 Apr. 2011. Article. Owens, Charles. 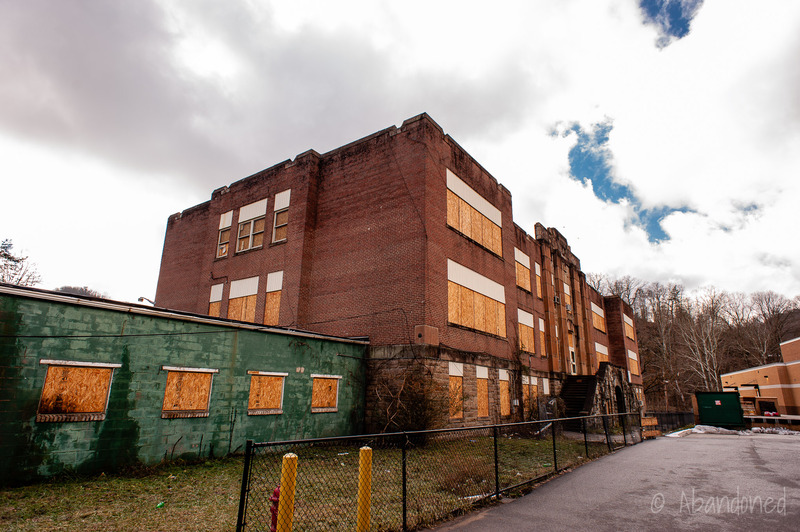 “Officials: Big Creek High School will be demolished.” Bluefield Daily Telegraph [Bluefield] 30 Aug. 2010: n. pag. Bluefield Daily Telegraph. Web. 5 Apr. 2011. Owens, Charles. “Closing of Big Creek: ‘Rocket Boys,’ other memories will live on.” Bluefield Daily Telegraph [Bluefield] 2 June. 2010: n. pag. Bluefield Daily Telegraph. Web. 5 Apr. 2011. Owens, Charles. “Schoolhouse heritage: Despite closures, local legacies live on.” Bluefield Daily Telegraph [Bluefield] 11 March 2008: n. pag. Bluefield Daily Telegraph. Web. 5 Apr. 2011. Article. Schust, Alex P. “War.” Billion Dollar Coalfield. Ed. Linda Graves. Harwood, MD: Two Mule Publishing, 2010. 479-482. Print. Archer, Bill. “Suspicious fire destroys Big Creek High, home of Rocket Boys.” Register-Herald [Beckley], 17 Jul. 2015.